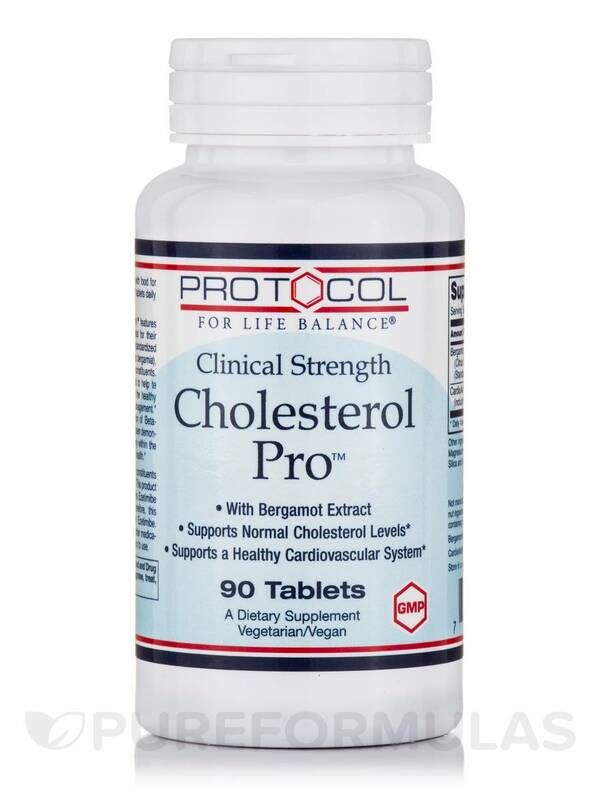 Cholesterol Pro™ Tablets from Protocol for Life Balance® is a unique supplement that may provide balance to serum lipid levels that are already within normal range. With extracts from ingredients‚ Bergamonte™ and CardioAid®‚ these tablets encourages proper blood sugar and glycemic levels in the body. 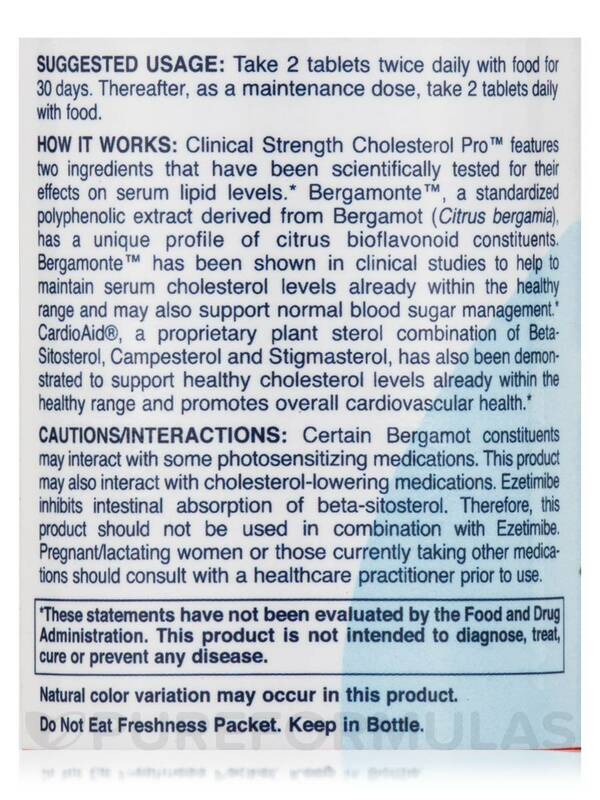 Bergamonte™ is a standardized polyphenolic extract from the fruit Citrus bergamia‚ which may be effective at lowering low-density lipoprotein (LDL) levels and glycemic levels in the body. These conditions are the main contributing factors of severe heart conditions. Bergamot contains large amounts of polyphenols‚ which inhibit the biosynthesis of cholesterol. By blocking the production of cholesterol in the liver‚ Bergamot may ensure the liver finds the cholesterol stored in the blood stream. 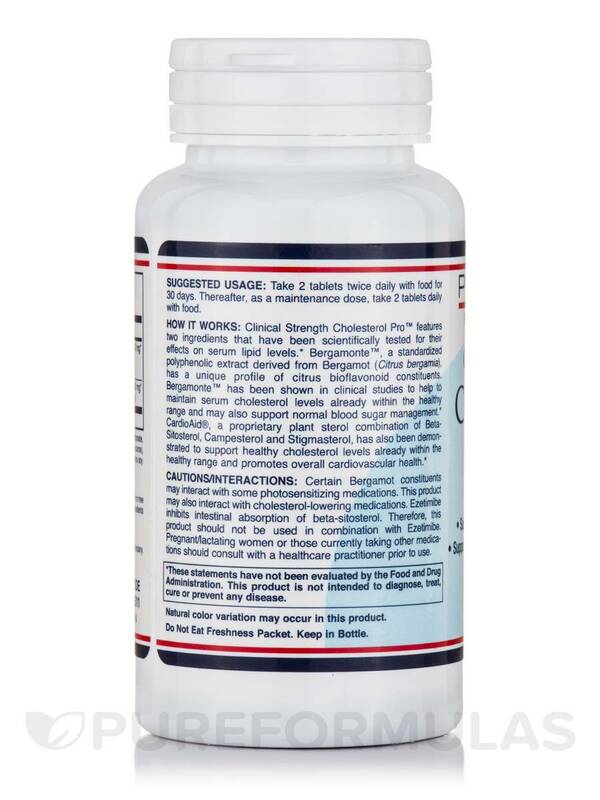 This supplement from Protocol for Life Balance® also contains CardioAid®‚ a combination of Beta-Sitosterol‚ Campesterol and Stigmasterol‚ which supports a healthy heart lifestyle. Cholesterol Pro™ Tablets from Protocol for Life Balance® may support serum lipid levels within normal range. 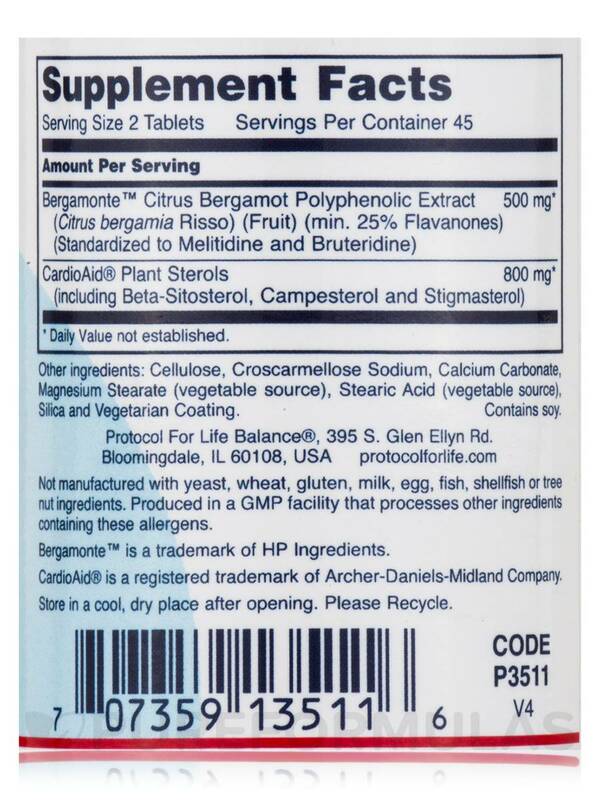 Other Ingredients: Cellulose‚ croscarmellose sodium‚ calcium carbonate‚ magnesium stearate (vegetable source)‚ stearic acid (vegetable source)‚ silica and vegetarian coating. Take 2 tablets twice daily with food for 30 days. Thereafter‚ as a maintenance dose‚ take 2 tablets daily with food. Certain Bergamot constituents may compound photosensitizing effects of some medications. 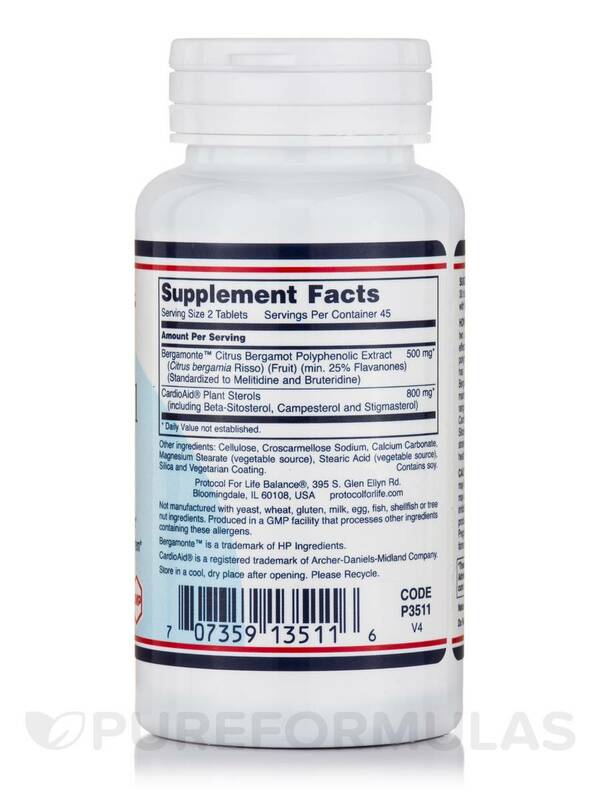 This product may interact with cholesterol-lowering medications. Ezetimibe inhibits intestinal absorption of beta-sitosterol. Therefore‚ this product should not be used in combination with Ezetimibe. Pregnant/lactating women or those currently taking other medications should consult with a healthcare practitioner prior to use. Thank you for reaching out to us, Mr. Newman. This is a question that your trusted healthcare practitioner would need to answer. They would be able to give you the best response possible since they’d be familiar with your particular health history and needs.